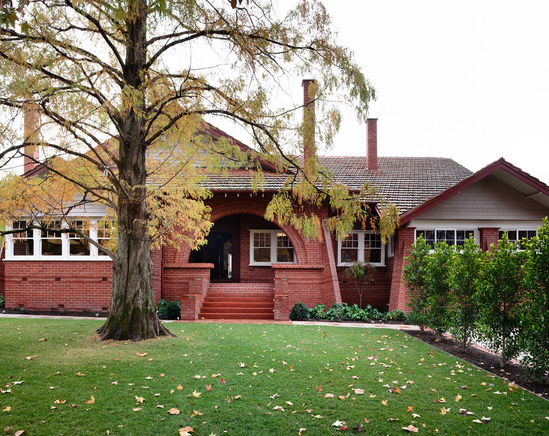 Canny Design was asked to restore this Federation era Arts & Craft style house for a large family in Kew, Victoria, and to design and build a new addition to suit their 21st century lifestyle. The house had undergone an earlier renovation in the 1980s. The front was rather well preserved and had retained existing period features from its ‘Art & Crafts era’ movement, such as the timber wall and ceiling panels and flooring. The client was specific in their requirements. They wanted the overall design to be sympathetic to the Arts and Craft style whilst allowing contemporary elements to integrate with the existing heritage features. 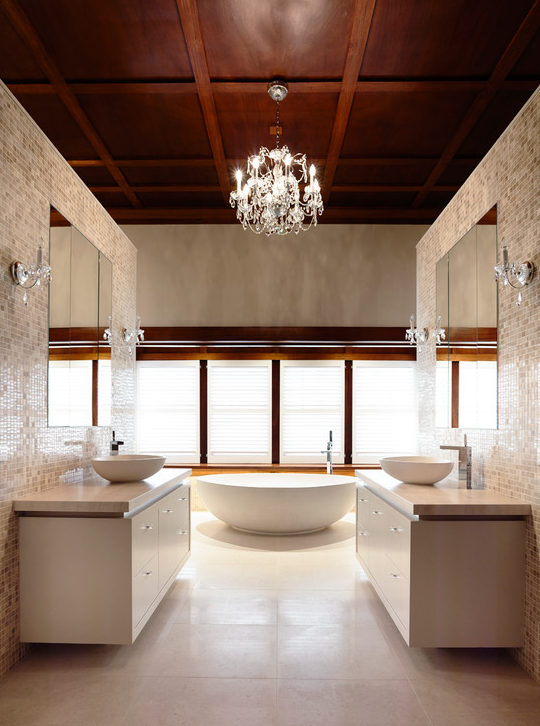 The response from the designer was to simplify the original architectural detail through use of various materials in order to create a seamless transition between the old and the new. The home needed to be redesigned to accommodate a family of six, allowing ample room for four very active, sports-loving children and a retreat for visiting friends and relatives. 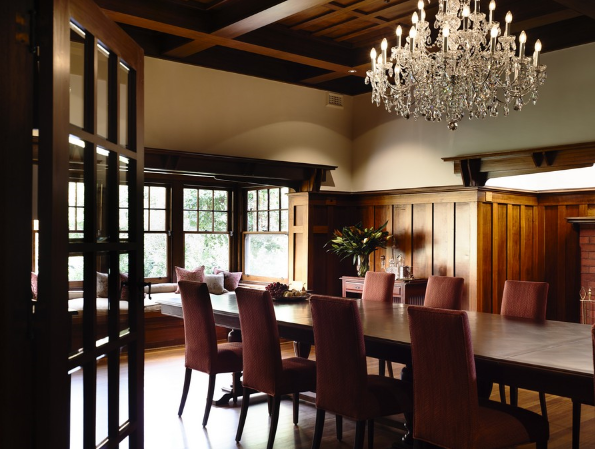 At the entrance level, the front part of the home was sliced in half, the three front rooms were retained and preserved in their original heritage style, with the remaining back rooms reconfigured and extended to suit the new design and create new space, including a 4-desk study, master suite, kitchen, butler’s pantry, meals, living area, laundry and two powder rooms. In addition to this, a massive underground component was added to incorporate a cellar, 5-car garage, gym, guest retreat, kids play area, hallway entrance, cinema room and bathroom. 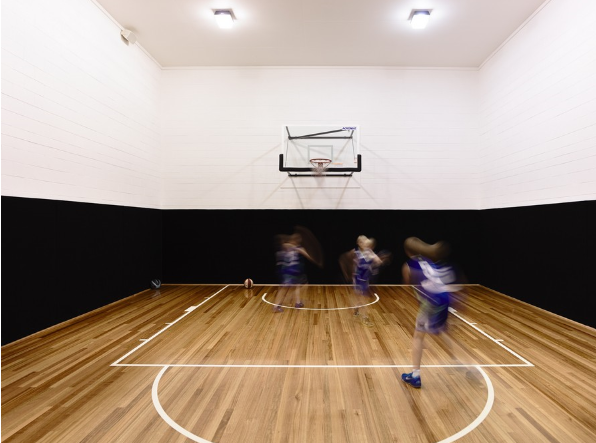 This unique design also incorporated a half court underground basketball court with 6-metre high ceilings and viewing platform from the play area. OK it has nothing to do with heritage but we couldnt resist including a photo! A second storey was added to accommodate 4 bedrooms, 2 bathrooms and another childrens’ retreat. One of the bedroom has utilized roof space to create a secret cubby and storeroom. The master bedroom area was reconfigured to allow for a luxurious master en-suite and two magnificent walk-in robes. The laundry and powder room were updated. In the outdoor area, an L-shaped swimming pool incorporates a lap pool, spa, water feature and children’s pool – the pool is fully tiled and each of the three swimming areas are able to be individually heated via remote iPad/iPhone technology. The covered alfresco area includes an outdoor kitchen and barbecue. Large stacking sliding glass doors create seamless integration between indoor and outdoor. A tennis court has been built over the top of the basement. 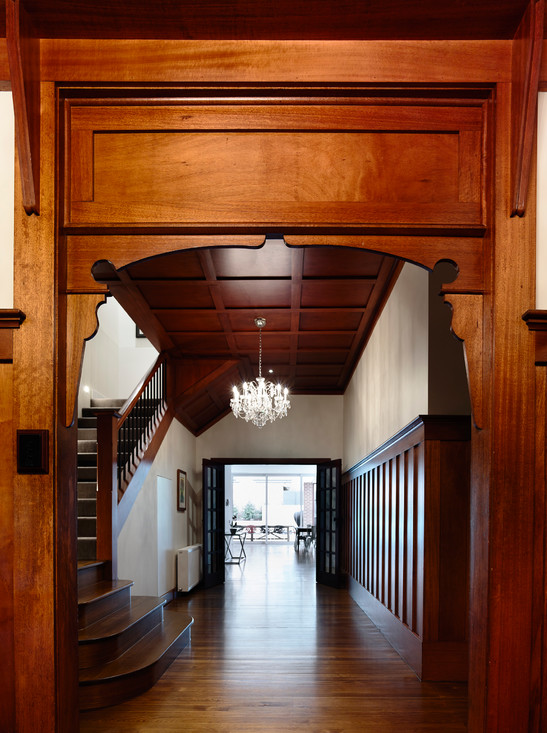 Canny Design’s Head Architect, Mary-Ann Woff, has said that her inspiration was to achieve a beautiful mansion that kept the same proportions and elegant grandeur in scale while being modern and functional for the family. 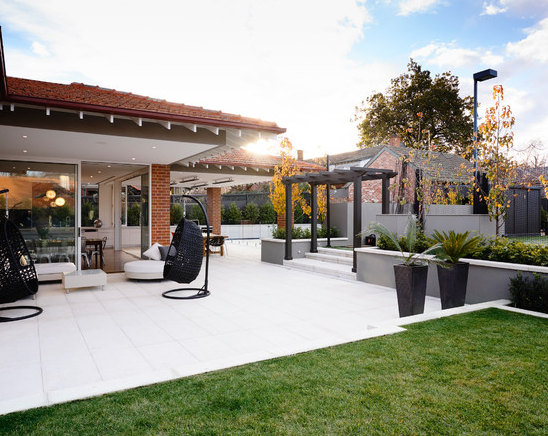 Their design won them the Renovation/Addition Over $2 Million Award and the Overall Renovation/Addition of the Year at the 2013 HIA CSR Victorian Housing and Kitchen & Bathroom Awards. They do appear to have thought of everything!